With some of my house projects behind me I had a chance for a long ride including a visit to Clinton. Clinton is nestled in the hills of Hunterdon County, New Jersey. It is a quintessential American small town that attracts many visitors. A charming historic shopping area, cherry tree lined streets, a beautiful red mill, and a river meandering through it makes Clinton a picture perfect hamlet. The old truss bridge that spans the Raritan River was constructed circa 1870 overlooks a 200 foot wide waterfall which separates two old grist mills; Clinton's landmark Red Mill (built in 1810), home of the Hunterdon Historical Museum, and the Stone Mill, which houses the Hunterdon Museum of Art. 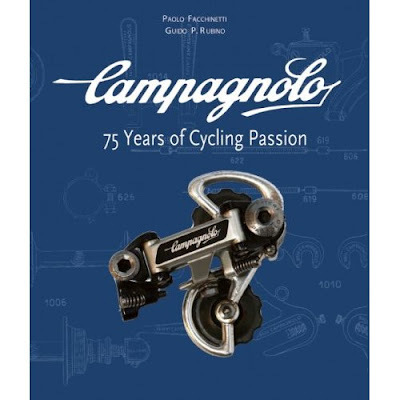 On the occasion of Campagnolo's 75th anniversary, this new book by Paolo Facchinetti and Guido Rubino will be be available later this year in English. 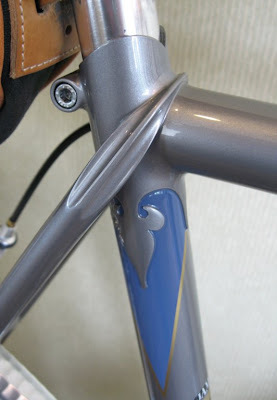 By the way, the "Super Record" name is being revived as the top level in Campagnolo's range. The titanium hardware that has long been a staple on the standard Record group will now be reserved exclusively for Super Record. In addition, the Super Record cassette will be fitted with six titanium cogs standard, as opposed to just three for Record (and Campagnolo is going with 11 cogs in the rear this year). 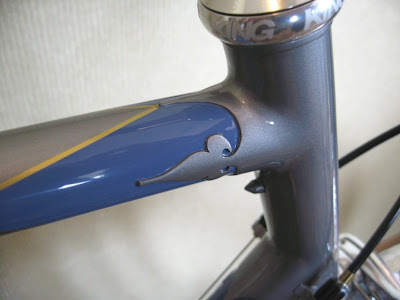 Ceramic bearings for the bottom bracket will also be reserved for the Super Record gruppo. 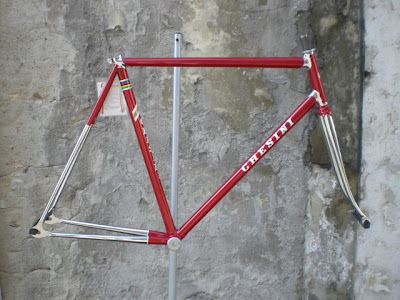 Chesini, of Verona, is continuining to build beautiful, custom, track/fixed gear frames. This red one is the most recent example. Contact paolo.nappa@chesini.it for more information. While I'm back home and busy being a homeowner again my Gruppo 1 friends in Verona were off on their traditional annual one week tour, this time to Umbria. From these first photos I can see that they had a good time. 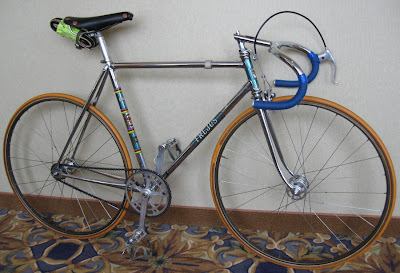 "Le Cirque" is the most important annual meeting in the United States of vintage bike enthusiasts. Started by Dale Brown, owner of Cycles d'Oro, in North Carolina the event moved this year to Leesburg, Virginia. 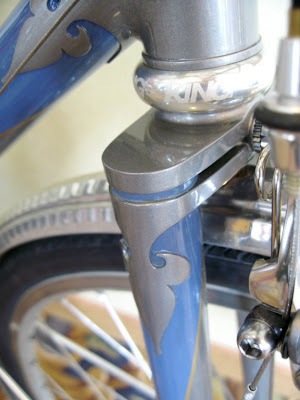 Hundreds of participants descended on Leesburg the weekend of June 5, 6 and 7 with their vintage bikes. During the weekend, participants attended forums and a banquet, their bikes were on display, and rides were organized. After a very, very 1st week of getting re-settled into out home there was some time for some riding...finally. While I rode from from Schooley's Mountain along quiet country roads on the way to the small town of Califon I couldn't help thinking of my friends in Gruppo 1 who were at the same time starting their one week Tour of Umbria. Califon is a quaint town bisected by a branch of the Raritan River. The short, picturesque, stretch of River Road leads to a climb of Hoffman's Crossing Road which is one of the many short but challenging climbs in the area. After climbing Hoffman's Crossing Road I did a loop that brought me back to Califon where I continued further westward to Hickory Run Road which is another short climb to Woodglen and the Woodglen General Store. From there it was a short ride to Anthony and then home. One of the visually striking differences between Verona and vicinity, and here, is how green it is in western New Jersey. Yvette Fuser left a comment that the Tinky Pinky Ladies woman's cycling team based out of Treviso was formed in the summer of 2007. The team is an outgrowth of the Team Granfondo Pinarello. The ladies in the pink kits are well known, and respected, on the granfondo circuit. Their website is www.tinkypinkyladies.com; presently in Italian with an English version coming in the future. The site is dedicated to the women instilled with ADRENALINA ITALIANA. We departed Verona, Italy, on Saturday, May 31st and arrived the same day at our home in New Jersey. The flights from Verona to Munich and Munich to Newark, NJ, were fine but traveling with 2 cats (American and Italian) created delays at check-in Verona and going through immigration control at Munich. Now we are busy getting resettled in our home and basically starting life all over......again. So much to do here after three years in Verona! Our daughter was fond of saying that her parents "ran away from home." The Richard Sachs S&S coupled bike made the trip, I assembled it Sunday night, and managed to get a two hour ride in on Monday. A loop that was challenging 3 years ago seemed pretty easy. We went to the supermarket and what did we discover? GIOVANNI RANA ravioli (these are REALLY GOOD!) and tortelloni from Verona! Hey, it not from the "Casa di Ravioli" of Verona but it will do until we start to make our own. A stop at IHOP (International House Of Pancakes) for some pancakes (hmmmmm!!!) featured the TOUR de FRENCH Toast special. Looking at the waistlines I doubt many of the patrons are interested in the Tour de France. We are happy to be home but dearly miss all our friends in Verona.